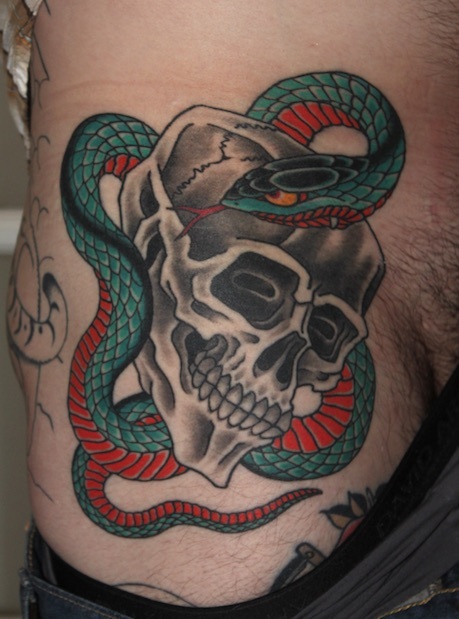 Skull and Snake tattoo for Travis. From the drawing wall. One session. Private studio.